I was always under the impression, that the only 350Z suspension change occurred with the Euro 350Z (stiffer rear spring, revalved rear shocks), which resulted in the 2004.5 revisions to the US models. However, I have recently found a mint suspension from an 08 HR and it appears that the shocks have a different TOKICO part number than the ones on my car. The front shocks currently on the car, a Euro 2004 350Z, are marked with a 1A10207, while the shocks that I am to receive are marked with a 1A11408. I remember some posts mentioning a possible later revision to the shocks, but never anything concretely documented like the 2004.5 change. Anyone have any input, any idea what was changed? Given that the Z gained some weight ~100 pounds with the 2006 revision, a slight retuning/stiffening of the shocks isn't far fetched. On the USDM cars there was only one suspension revision IIRC (on the 2004.5+ cars). Yeah, I was under the same impression, prior to receiving these shocks from an 08, clearly the TOKICO ID code changed at some point (06? ), don't necessarily know what it means, maybe nothing but the ID code on the shocks is different. 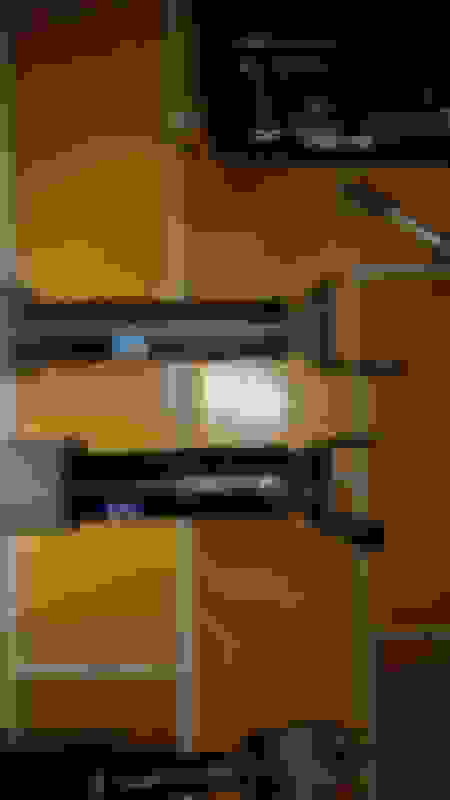 I searched the net for photos of shocks to confirm and saw the same. So either the part ID changed due to a factory change or something at TOKICO or there was a revision of the part at some point? I can now conclusively state that there must have been an upgrade to the Z's shocks at some point after the 2004.5 shock revision. While the front shocks look the same except that the old part number ends with CD700, while the new one is CF40C. 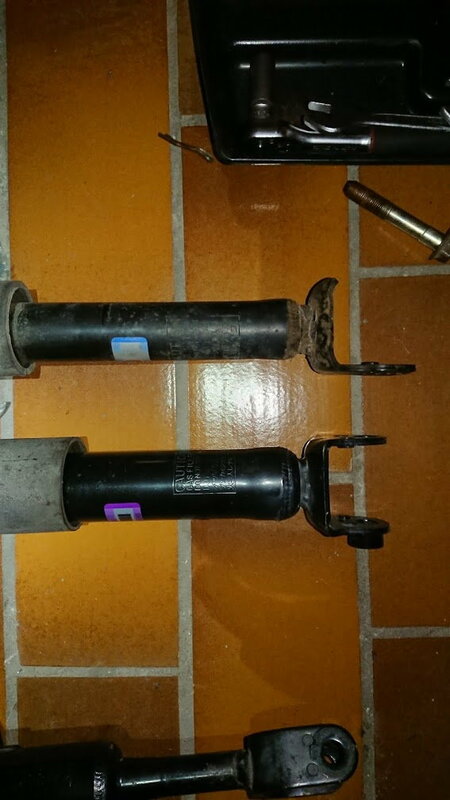 the rear shocks have obviously seen a notable overhaul, the actual shock diameter has been increased by approx. 10% on the CF40C part number. Even the mounting point has been modified slightly, likely to accommodate the new shocks dimensions. On a side note, it is the compression arm bushing nightmare once again, god damnit Nissan. The rear shock bushing sleeve welded itself to the bolt, just like with the compression arm bushings, and the damn things started spinning as I was torquing the bolt apart, so I had to cut out the old shock and am now dowsing the sleeves in rust remover, hoping to at least salvage the bolts. So a word of warning now that these cars are getting older, there is a chance that you will need new bushings and a 20 minute job will turn into several hours of cursing. I think the 2008 shocks are just somewhat different from the 2004.5 shocks. They provide a slightly but noticeable smoother ride. Thanks for the input and nice to hear, can't wait till my whiteline replacement bushings arrive to try them out. Was on the lookout for new shocks and these low mileage bad boys came along at a steal of a price, would have gone Bilstein otherwise as I can't lower due my driveway. I am looking forward to seeing the difference. Nismo Sway Bars - how many versions/revisions? ASAP PLEASE! Quick Reply: How many 350Z Suspension/Shock revisions?